This week's Photo Friday theme is "Ride." I took this shot at Septemberfest in Schaumburg, IL. this past year. 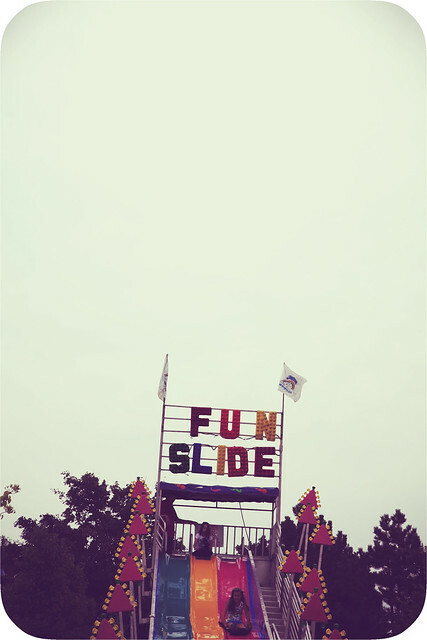 It totally reminds me of going to carnivals with my sister when I was young and how I was afraid of the rides (especially the fun slide...) Fast forward 20+ years and I can't get enough of carnival rides and roller coasters-- the scarier, the better!!! This image is available for sale in 4x6, 5x7, 8x12, 11x14 and larger! Email me (aprilbern at gmail dot com) or leave a comment if you're interested in a print of this! Just a reminder-- you can sign up to get automatic notifications when I post so you don't miss anything! "Like" me on Facebook too! Hope you have a fabulous weekend!!! !